A man of Asian descent has the following dream. “I was in a far away exotic place. Eventually I noticed these things on the floor. They looked like old washed up, mud cover tree trunk (medium sized) sitting there embedded in the floor. I looked closer at one, and it looked like a mud covered/dark stone tiger. Looking closer I realized it just didn’t look like one, it was a tiger, sort of half incarnated. Out of a bit of fear, I kicked sand from the floor on it’s face to see it was real. I felt bad I did that immediately thereafter. The tiger looked back at me. I am in a light blue colored room and I see two tigers and then notice that the room is full of tigers. One is bigger than the rest. There are two more big female tigers, each with two cubs. I make sure the door is closed. There is no lock. Door is flimsy poor Asia slider wood door with window panes. I decide to switch to a room upstairs. I walk out of the room, and realize I forget my phone and my key to that room. I go back in and find them. I go back out out of the room and try to lock the door. It won’t. More I try to lock, the more the door comes off the hinges. There is another door in the room I was in an adjacent room. That too opens and man and women appear, and that door falls off too. Then the tigers come into the room. There are two. We are somewhat afraid but we stand there and not run. The two tigers sit there against the light blue wall. INTERPRETATION - Dreams are the way the psyche speak to images and give expression to instincts that derive from most primitive levels of our existence to return us to the natural law of our being. Surrendering in Goethe’s words is to ‘die and become’. To the extent that the ego consciously embraces “death” it constellates life in depth. Surrendering is to give up a belief about some form of control and reposition us for a different type of encounter. What we have to give up in our surrender is our “objective” mechanical worldview and reintegrate ourselves into nature’s self-organizing patterns that provide us access to light and energy. By surrendering we once again immerse ourselves in light and energy. 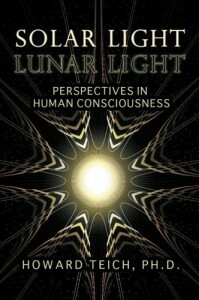 Light and energy are the creation principle of the cosmos and our planet. In the new scientific Gaia creation story, the theory is that our planet and its creatures constitute a single self-regulating system, which is in fact, a “great living being”. We now recognize that the Earth itself comes alive in the whirling dance of matter in space that manifested the crust of the earth that eventually transformed itself in what we call nature, water, mountains, valleys as well as stones. The dream begins with nature in the form of trees and stones, “I was in a far away exotic place. Eventually I noticed these things on the floor. They looked like old washed up, mud cover tree trunk…embedded in the floor. I looked closer at one, and it looked like a mud covered/dark stone tiger.” Our awareness if “mud covered tree trunks” initiates our understanding that we are about to enter a story of growth, proliferation, generative and regenerative processes. Trees, often symbolized as the tree of life, stand for inexhaustible life, and are equivalent to a symbol of immortality. Tigers are the biggest cats in the whole entire World. The tiger is associated with Tsai Shen Yeh, the Chinese God of Wealth, and this god is usually seen sitting on a tiger. The tiger is the protector of the dead, and will often be seen in graves as a mark of protection, assuring peace for those who have died. It is also an image symbolizes the supremacy of the intangible forces, and our ability to harness the tiger’s power in our lives. Stones are symbols of being, of cohesion and harmonious reconciliation with the Self. Their hardness and durability suggests to us the antithesis of a biological thing subject to the laws change, decay and death and well as the antithesis to dust and sand as aspects of disintegration. Paradoxically the Philosopher’s stone symbolizes unity and strength. In Islamic worship, the most celebrated stone is the Kaaba meteorite in Mecca, Among the stones venerated by the ancients, the Greek’s had the omphaloi, or in Hebrew, the stone is God’s house, ‘and this stone which I have set for a pillar, shall be God’s House’ Genesis 22). In other words the stone is a symbol of authentic Self, a symbol of our wholeness and individuation. Stones are among our earliest tool, weapons and symbols of power, Increasing the might and the effectiveness of early men and women in coping with their environments. The stone as an archetype can be considered compared to our brief human life span as a symbol of endurance; indeed it suggests the concept of eternity. Yet, the common stone surrounds us everywhere and we give it little value. For the alchemist, the “mean, uncomely stone, cheap in price” becomes the indestructible material of transformation into the Philosopher’s stone. The Arabian alchemist Morienus expressed it even more directly: This thing (the philosopher’s stone) is extracted from you: you are its mineral and one can find it in you.” The dreamer must patiently work throughout his life, like the ancient alchemists, “with love” to transform what we least value-the dead, the ignorant or false aspect of ourselves, into the true stone, wise and eternal. The Gaia creation story shares with us that all the mysteries of life including the matter in the universe are part of our ecosystems in evolution. Even DNA virtually the oldest thing in Earth’s evolution is still alive on its surface-propagating itself from the beginning in the unbroken chain, as surface rock transformed into “endless creatures who recycled it in turn into sediments that were subducted back into the magma of origin by great tectonic plates.” In other words, at one point the matter of stones like all earth were part of the self-regulating living systems of which all other life forms evolved since. As the crust became more alive with bacteria it creates its own atmosphere and finally produces the larger life forms –the trees animals (tigers) and people. Tigers in many Asia cultures are powerful symbols the emergence of the king archetype, the central organizing principle of the Self, the all in us Light as the spirit of the Self has emerged to shine on this man’s life birthing his creativity at a deeper level giving him access to the cosmic energy of all life. This illumination is a signal of his spiritual strength. The blue color of the room that the tiger emerge in is important representing the lunar context that is the holding container of this energy for the dreamer. Like the lion is representative of the burning force of the sun, the solar aspect of life, in contrast, the tiger with it play of yellow body and black stripes mirrors the symbolic ambivalence of the power of the night and the lunar. The tiger as a big cat that can dispatch its prey with a single stroke of mite to the neck is an energy of lithe elegance and lusty sensuality. It conveys protective grace and noble authority that has inspired everything from warrior societies to shamanic magic. They hunt in silence and agility that almost seems supernatural. The tiger signifies the structure and ferocity of the warrior, the urge of the capacity to spring into action at a critical time yet as the dream show the ability to “surrender” to the silence of nature. On its black forehead marking’s every tiger carries a pattern identical with the Chinese character for “king.” In the Japanese traditions the tiger is a creature of mountainous ascent and descent, and evocative of the qualities of the lunar yin, at sunset, autumn and earth. Here and not here, the tiger is like a spirit of wind, “ The mysterious rustling of the wind in a bamboo thicket, a sound that has an unearthly and eerie charm.” The tiger represents the vital powers within ourselves that are now being embodied in space, habitat and respects the force of its living presence in nature. 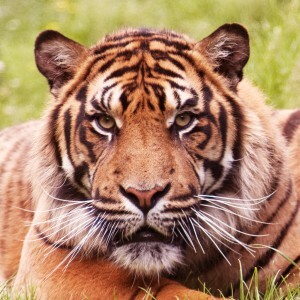 The tiger represents one of nature’s most extraordinary incarnations of creative aggressiveness and sovereign instinct. An old friend sent me a fb message this morning telling me she had a dream of me surrounded by very beautiful crystals….what could that mean?….Thank you in advance…. It does not get any better than to be surrounded by a very beautiful crystal. Congratulations! Crystal is a symbol of unity, differentiation and flowing balance. speaks to that side of you. You possess a state, like a crystal, of transparency. energies-a core of who you are. Hi, I thought I`d try to submit a dream. It was quite disturbing, so I`d be grateful to get some help with the interpretation. My old dog, Atlas (like the Titan), was lying in a dog’s basket, minding his own business. He was mostly black, with a white chest, throat and tip of the tail. Apparently he had to die, and his head was supposed to be smashed by a hammer. I couldn’t do it, so my severe uncle smashed the poor dog’s skull with a hammer (black and red, I think). As his head was smashed, black water splashed out of his left eye, and he seemed dead. I was shocked, but quite surprised and relieved that he died quickly. Then the poor dog woke up, and I had to put him out of his misery. I think I tried to smash its head in, but it felt so incredibly wrong. I lay next to the blinded and wrecked dog, crying on the floor. Screaming for help. My uncle pulled the dog up on the couch (two or three seats, I think. A 3+2 or 2+2 section). He started to slowly hammer the bones in the dog’s face. It screamed and eventually started to attack him, but my uncle had this martial art skill of pushing the dog’s face away. I was devastated by the whole thing, and grabbed the hammer, while wishing he’d just been euthanized in the first place. I felt like I had to smash the dog’s head out of desperation. The dog then went for me, and I stood up on the floor. The poor dog then stood up like a man (not like a dog), blind, and following my noise. My uncle didn’t help. ATLAS / TITAN – Burden holding up the world as the way it is. A dog in a dream is a representation of the instinctual aspect of life that is emerging to guide us and wants to be paid attention. Just as a dream has many interpretations, the dog in a dream has multiple symbolic meanings from faithfulness, guarding and even as a companion for the dead on the “Night Sea-Journey.” His name, Atlas (like the Titan). Note: the dog is lying in a dog basket minding his own business. This indicates that the issue the dreamer is violently confronting is buried in a deep instinctual layer, a Greek-Roman version of the collective modern psyche. The dream describes a fierce battle with the early giant Titan, an instinct that is immortal and has incredible strength and stamina. This masculine instinct was once the creative ruling principle that was part of the legendary Golden Age of Greece and the beginning of Western culture. This previous creation principle has become an “old” ruling principle that is no longer serving contemporary culture as it once had. My new book is now available to order online. Solar Light, Lunar Light is inspired by some of the first recorded symbols found in ancient rocks and bone carvings: the sun and the moon. 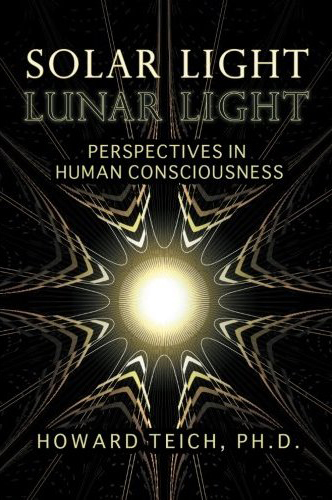 Just as both the sun and the moon are crucial to the ecology of the planet, expressions of solar and lunar awareness in human consciousness are necessary for the well being of the soul. Light has been associated with human awareness for thousands of years, since long before the beginning of recorded history. Light holds the power to heal souls. When we call a person with great wisdom and knowledge “enlightened,” or refer to someone we think is crazy as “loony,” we evoke a connection that has existed in almost all cultures for millennia. These metaphors draw their power from long human experience. The effects of brilliant sunlight or soft moonlight on the human psyche have been described by poets, transcending the boundaries of time and place. Using the metaphors for solar and lunar in our everyday language consciously aligns us energetically with these two primary lights of life. 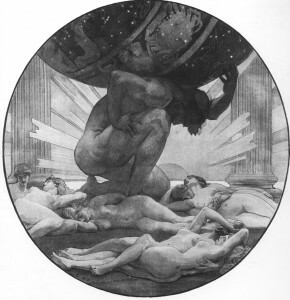 "There will be no peace in the battle of the sexes and no ecological sanity until we have finally done away with the nonsense of sorting human virtues into masculine and feminine bins."